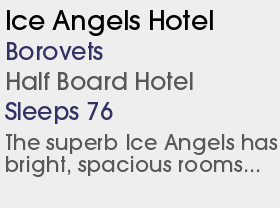 WEsay This is a great resort for those wanting to ski on a budget. Offering great value for money, a lively nightlife and an appealing forest setting this is not a town for those of you looking for 'top nosh' - chips are big here! 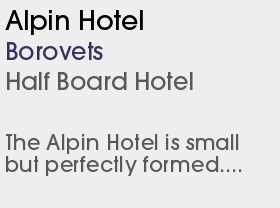 Book a skiing holiday in Borovets, Bulgaria at Chaletline and take advantage of our excellent rates at ski hotels in Borovets. 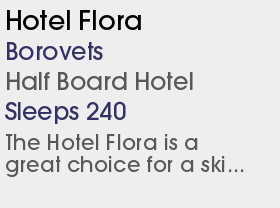 Borovets is a great value ski resort in a scenic region of Bulgaria. Nestling amidst pine forests in the beautiful Rila mountains, Borovets is Bulgaria's oldest established and largest resort. 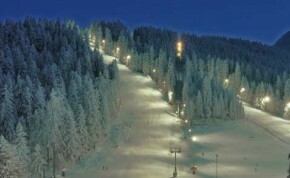 The skiing reaches up to over 8,000ft and snow conditions are among the best in Eastern Europe. Beginners will get the best possible start with a highly rated local ski school and for intermediates there is a good variety of runs as well as some interesting diversions for experts. Apres ski in Borovets centres around the many bars and discos at bargain prices and there is a great entertainments programme. Due to the high commission rates charged for the use of credit cards and travellers' cheques, it is advisable to bring larger amounts of cash.